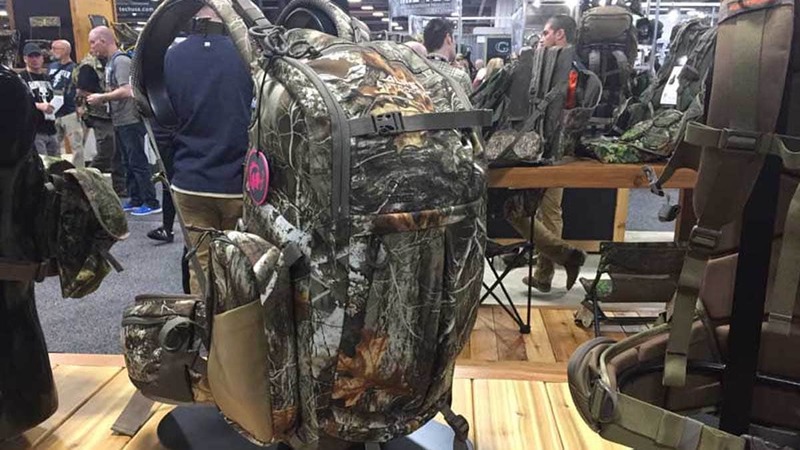 Like a kid in a candy store, every year I wait to see what the hunting accessory companies will come up with next. One thing is certain — 2019 did not disappoint. Here are some of our top picks for both innovation and practicality in the hunting woods. Primos has long been a leader in hunting gear and accessories for most every species, and 2019 marks some big advancements for predator hunters. This new trio of electronic callers includes the Triple Dogg, Horn Dogg, and Top Dogg. They are all wireless, 360-degree e-callers that not only have superior volume, but also allow them to be linked in a chain of remote callers, all controlled either by smart phone or remote. The new Buck Pursuit line of hunting knives blend the company’s Made-in-America quality with affordability and performance. 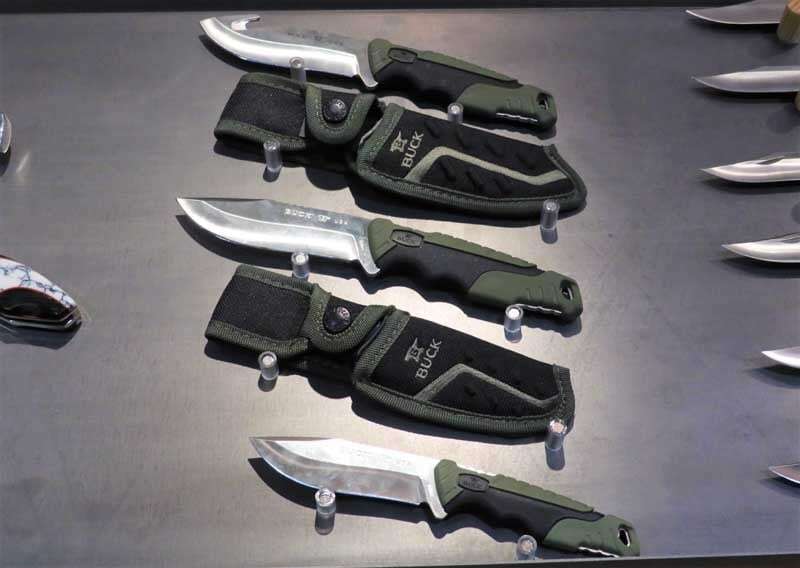 The Pursuits are available in small and large sizes, with a folding option and a guthook model. Blades are 420 HC stainless with an ergonomic, Versaflex handle. The GWG company has become synonymous with innovative, fully-featured hunting apparel for huntresses, and they do it without breaking the bank. 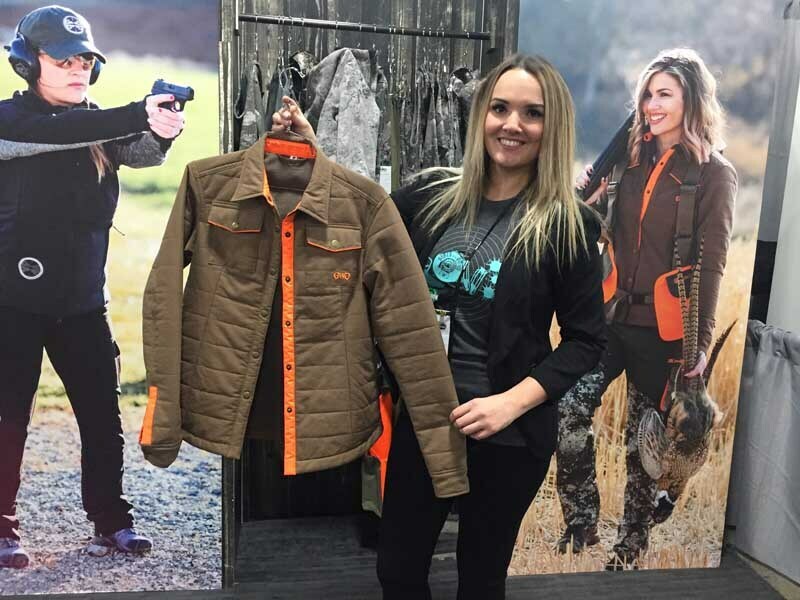 COO Callie Wolverton shows off some of their new introductions for 2019, including legit options for upland hunting, extreme cold weather gear, and more affordable gear for new/casual hunters. Though we haven’t yet had the chance to put Second Zero to the test, the idea is an impressive one. 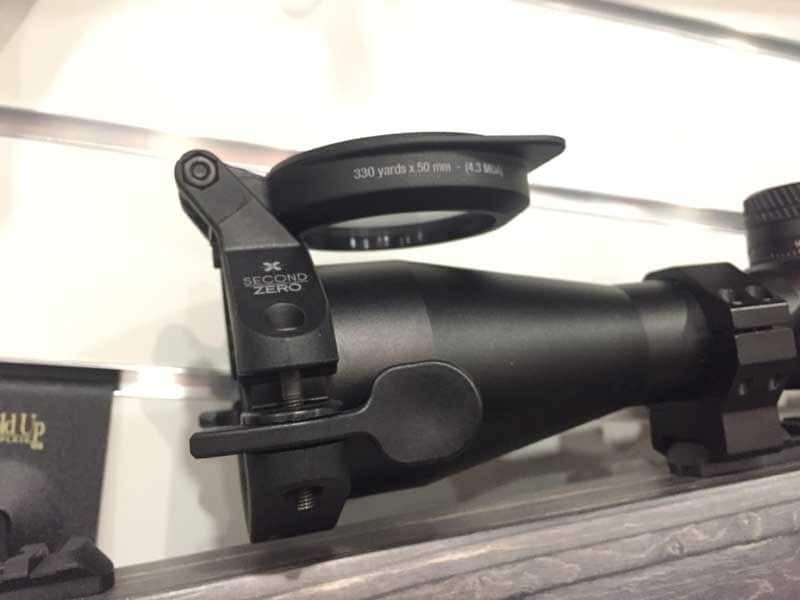 The Second Zero is a prism-driven optical device that attaches to the bell of the optic (a rail mount is also available) and essentially provides a second zero at a much greater distance. 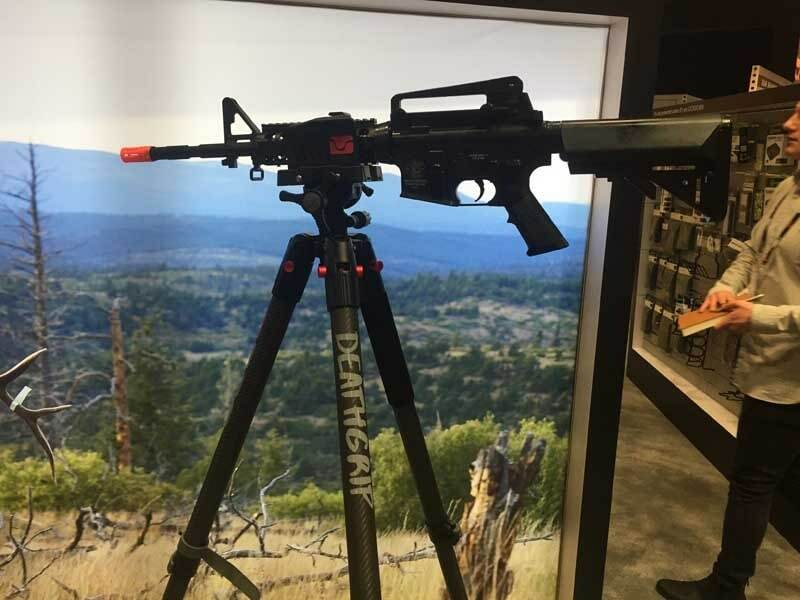 For a simplified explanation, if your rifle is zeroed at 100-yards, you could theoretically flip the Second Zero down over the scope and holding at that same point of aim should be dead-on at 330-yards. 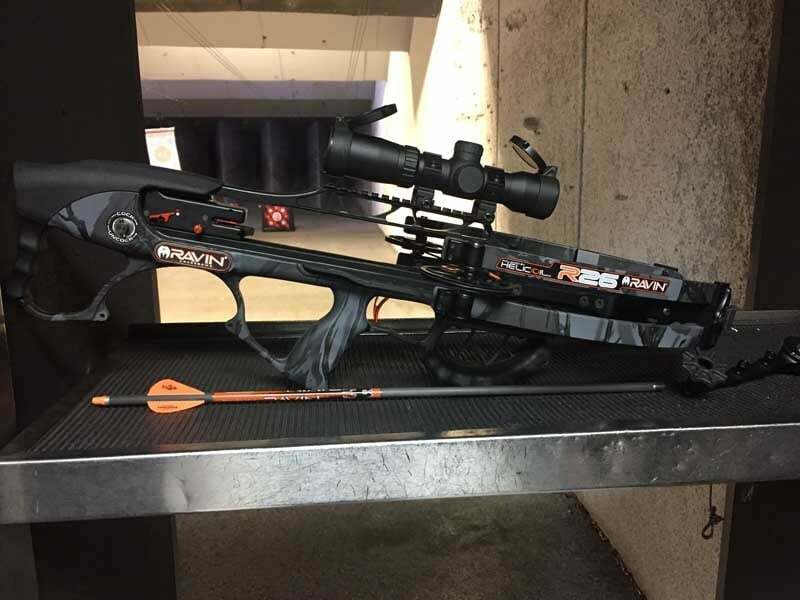 The crossbow company known for pushing the boundaries of micro-size and major speed has done it again. The new R26 and R29 models are the smallest, fastest yet. The R26 pictured measures only 26 inches in overall length and has a cocked width of only 5.75 inches axle-to-axle. Even at that packable size and only 6.5 pounds, the R26 launches bolts at 400FPS. Its slightly bigger R29 brother is a few inches longer and hits speeds of 430 FPS. The Mossy Oak Hunting Edition of the Can Am Defender is a purpose-built set of wheels ready to take on the roughest terrain. All the extras on this SHOT Show floor model are straight from Can Am. This one turned some heads on the show floor. 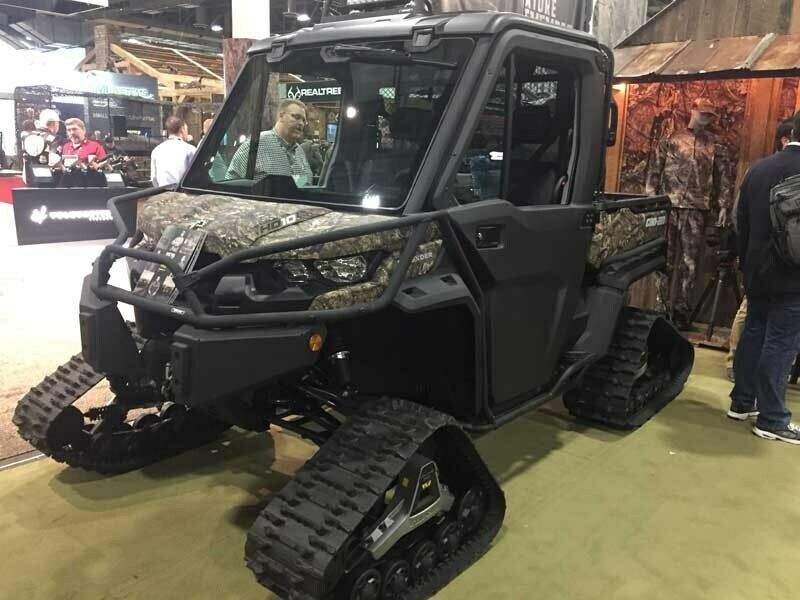 We had the pleasure of taking one of these babies through some rough terrain and it’s clear Can Am knows what hunters want in terms of performance and features. Get the best of home smoked meats and upscale grilling both at home and on backcountry hunts with the portable Camp Chef Pursuit. 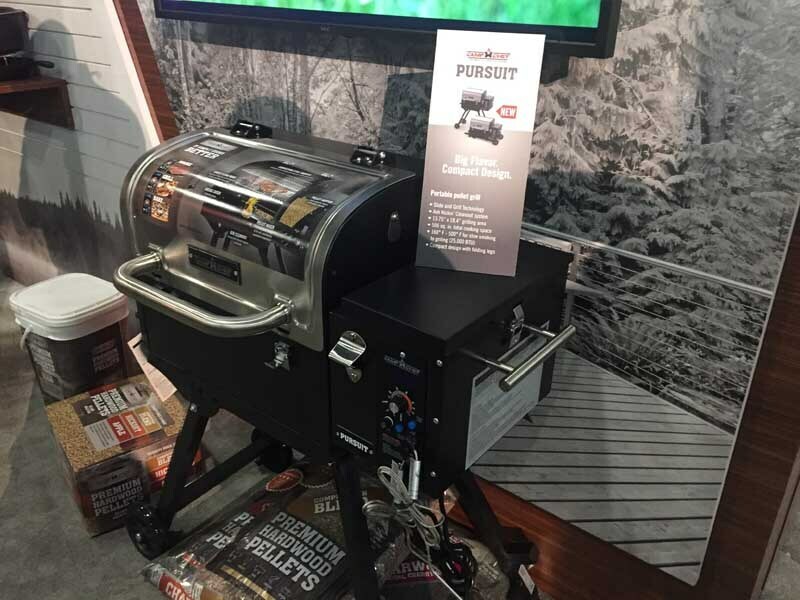 With 500-square inches of grill space, a 10-pound hopper for hardwood pellets, and electronic auto-start ignition, the Pursuit is built for chefs on the move. The new-for-2019 BOG-Pod Deathgrip clamping tripod shooting rest gives hunters an extra hand in the field. With carbon fiber legs, not only is the DeathGrip light and portable for the mobile hunter, but most importantly, secures weapons for hands-free use and has a full 360-degrees of swivel and tilt movement. 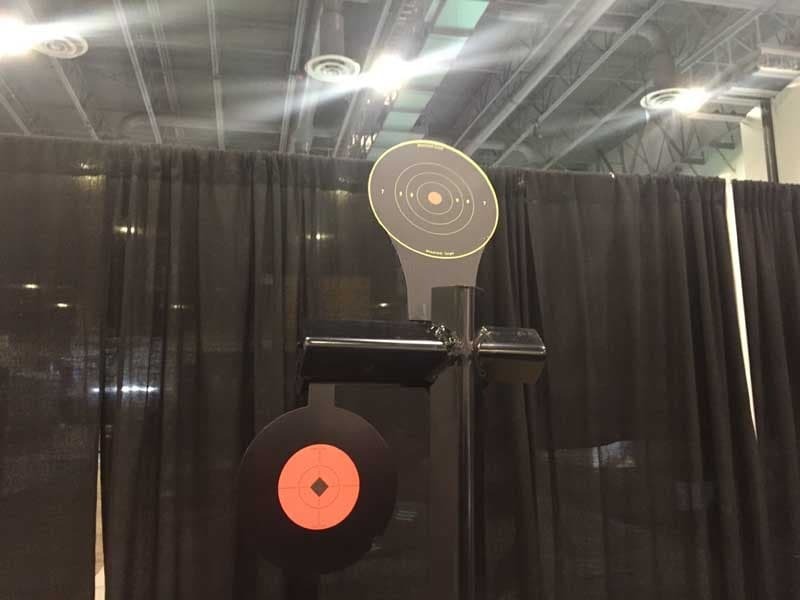 This reactive steel target is built for centerfire handgun training but will also have use in hunting rifle practice as well. The innovative design trains shooters on rapid target transition. Shooting the lower steel gong causes the shoot-through top target to pop up and then slowly drift back down, offering shooters only a small window to make an accurate follow-up shot. 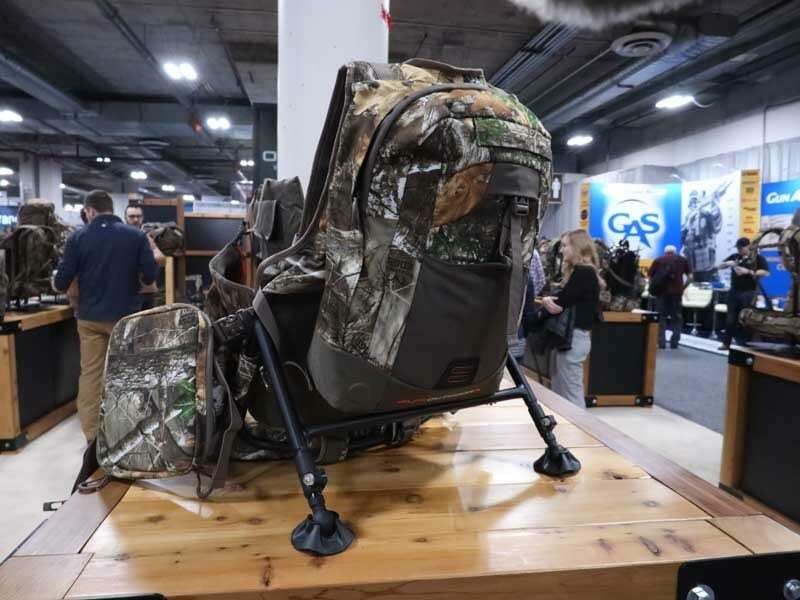 New for 2019, the line of Alps Xtreme packs will make use of ElimiShield Scent Control technology. 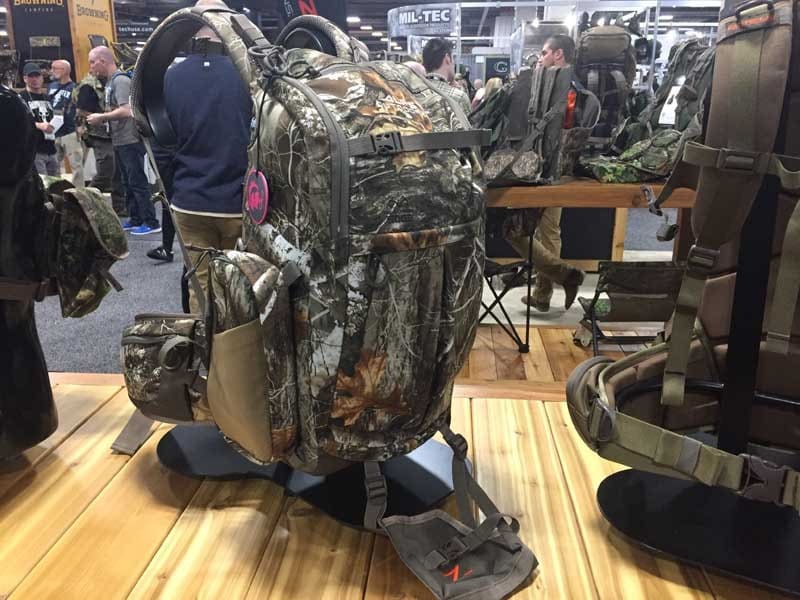 The Contender X on the left is one of the top offerings with its self-standing L-frame, drop-down gun/bow pocket, hydration pocket, and all the features hunters have come to appreciate from Alps. While it’s not a big meat packing outfit, it will be ideal for day hunts and lighter duty. A smaller woman’s pack was also unveiled in the Allure, a partnership with Shoot Like a Girl. 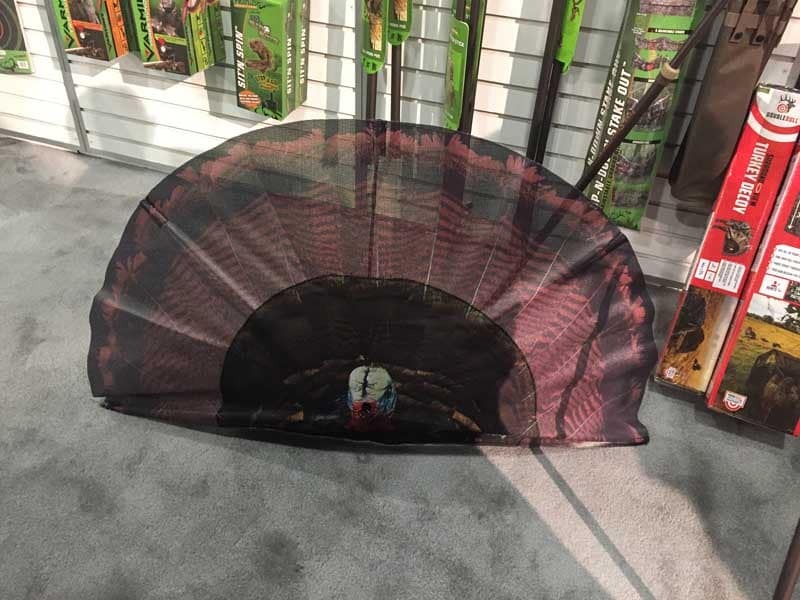 As the up-close-and-personal tactic of reaping turkeys explodes in popularity, decoys built to conceal hunters are at a premium. 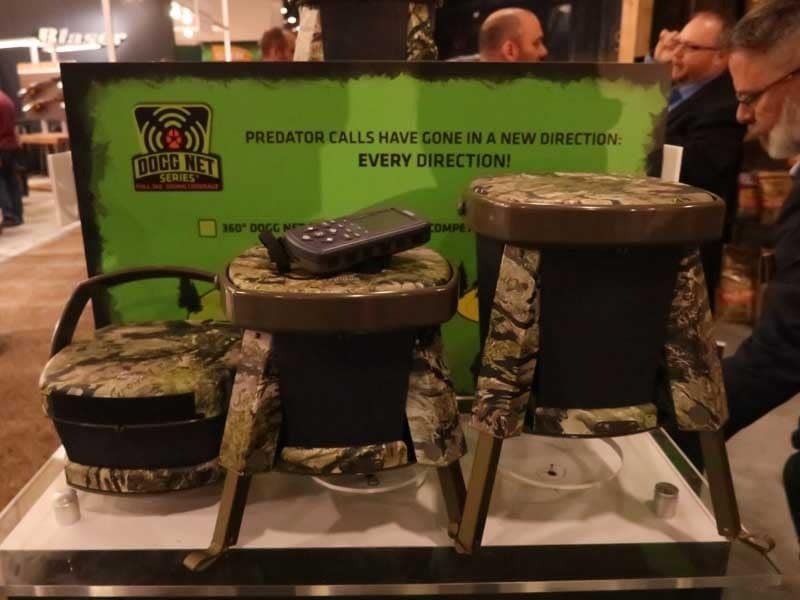 The new Surroundview version pops itself to the top of the market, with room for two hunters behind the “decoy” which uses the company’s see-through Surroundview material to keep hunters hidden while still affording a clear view of the prey. Best of all, its single-hub design is quick to deploy and easily folds up to fit in a pocket. 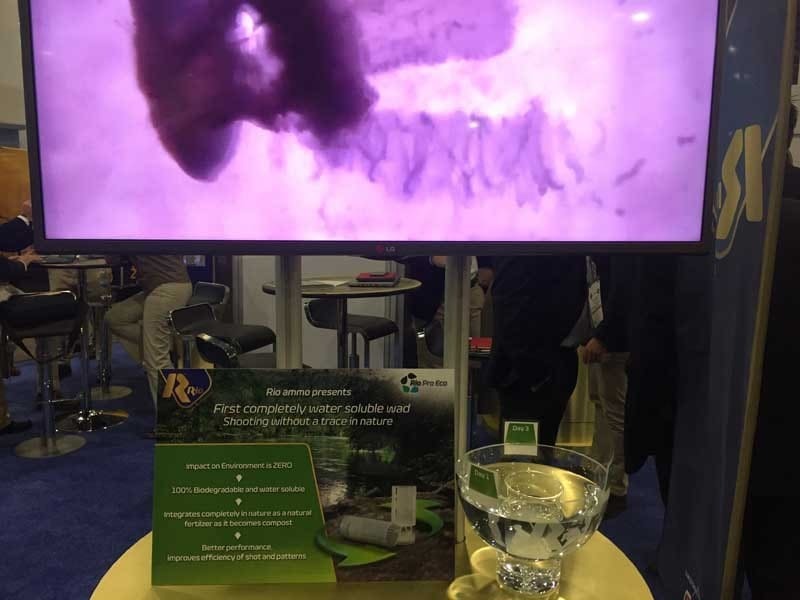 Rio’s biodegradable shotshell wad is the first of its kind. Not only does it dissolve within 24-48 hours, but also fertilizes the environment. The new wads will be loaded into Rio’s Eco Blue Steel loads for the initial launch. If the vegetal base technology catches on, it’s adios to plastic wads left behind in the field. The same technology used in the US Army’s TOW Missile has now come to your hunting rifle. 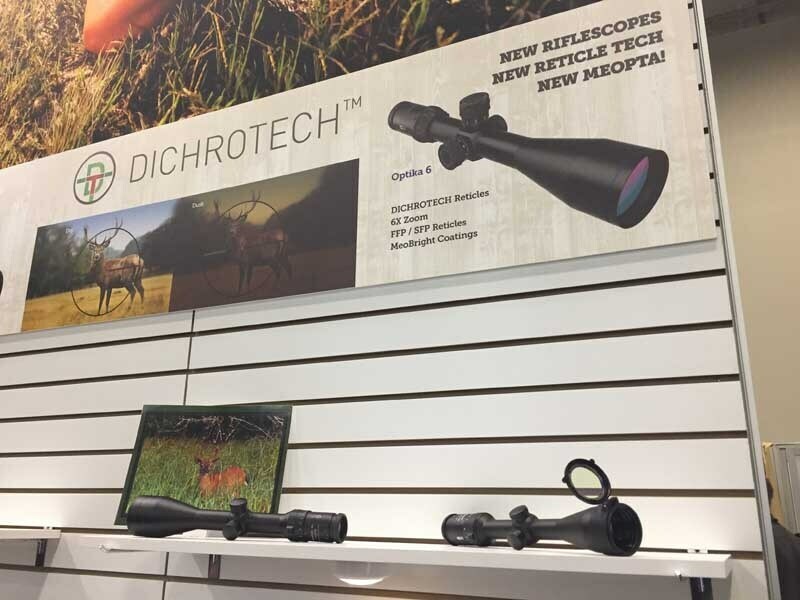 The new Dichrotech reticle is battery-free, yet automatically adapts to changing light conditions for optimal view of your reticle. Further, the reticles are transparent, and do not block view of the target like standard black lines. These gamechanging reticles will initially be found on Meopta’s new Optika 6 riflescopes. Though the Enforcer vest/backpack/seat system looks like just another turkey vest, this one is purpose-built for predator hunters. There’s the sit-anywhere, removeable kickstand frame, removeable cushy memory foam seat, large pack for gear, shell holders, removeable front pockets, and is even hydration compatible. The Enforcer will be your mobile companion and command post for ‘yote blasting.